Third place in the 1-Bit Music Forum Compo 2015 1-Bit Alternative category. 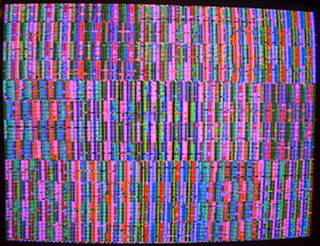 Fourth place in the PixelJam 2013 Glitch/Artware compo. 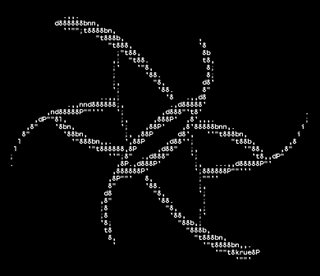 For the Apple //e. Uses Double HIRES and 65c02. 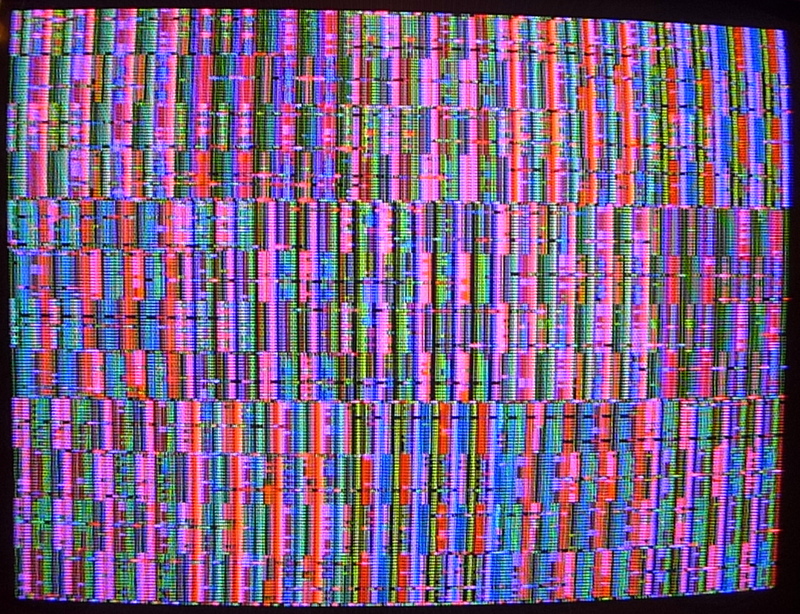 Apple II invitation intro for GLI.TC/H 2112. Needs a 65c02. 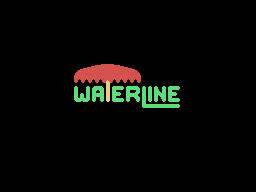 First place in the PixelJam 2012 Wildcard compo. Collaboration with Brutal Deluxe, Melissa Barron, and Wade Clarke. 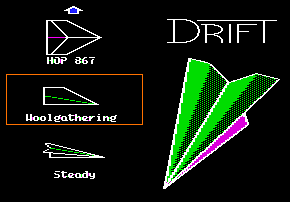 For any 64k Apple II. ProDOS. [ogg] hardware audio captures: krue__thermals.ogg, wade_clarke__hop_867.ogg, krue__woolgathering.ogg, krue__steady.ogg. 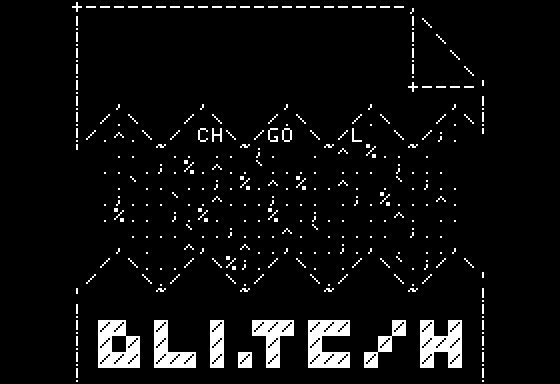 First place in the PixelJam 2012 Textmode Graphics compo. First place in the HackFest compo at KansasFest 2011. For any Apple II. ProDOS. 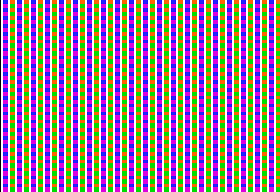 128 bytes. 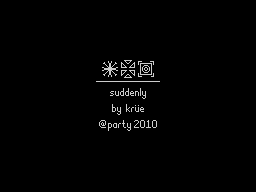 Second place in the PixelJam 2011 Old School Demo compo. For any Apple II. ProDOS. 148 bytes. 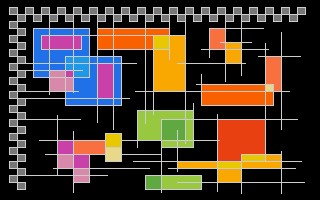 Second place in the PixelJam 2011 Freestyle Graphics compo. 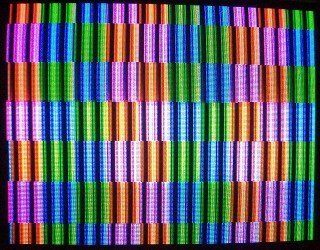 Apple IIgs SHR 320 Mode. Third place in the @party 2010 Wild compo. Cabbage Flash has its own page here. Fifth place in the @party 2010 8 Bit Music compo. For the NTSC ColecoVision. 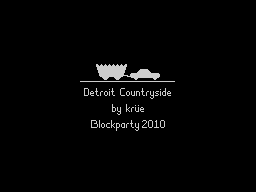 First place in the Blockparty 2010 Old School Demo compo. For the NTSC ColecoVision. Third place in the Blockparty 2010 Old School Music compo. For the NTSC ColecoVision. Eighth place in the Blockparty 2009 Streaming Music compo. Fourth place in the Blockparty 2008 Wildcard compo. avrsyn has its own page here. Fifth place in the Blockparty 2008 Old School Music compo.